The two releases form separate sides of the same coin, recorded at an afternoon/ evening gig in Osaka, on February 1, 1975. 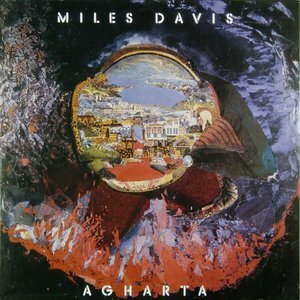 The earlier set of "Agharta" may not sound as raw as the twin-disc Carnegie Hall concert heard on "Dark Magus" the previous year. But the music here is equally relentless: a shifting landmass of music moving from gut-thumping electronic Funk-Rock fusion to joyful dance grooves to easygoing swing, before finally collapsing into a disquieting abyss of dark, interstellar noise.